In the past three decades, Japan and China have enjoyed ever-increasing economic ties. But their political relations have been lagging behind seriously. The ongoing political rows do cast a shadow over their economic ties. So, what's really at stake? Japan Inc has been the third-most important investor in China, after "Overseas Chinese Inc." and "US Inc." By 2004, Japan had invested US$66.6 billion in equity into China. Japanese banks are leading international lenders to China. At the same time, the booming Chinese economy has become an engine for Japan's economic recovery. Of late, 50 percent or more of the total increase in Japanese exports has been attributable to China. Japan Inc's investments in mainland China have come in three waves. The first wave, which really only tested the water, came in the 1980s. 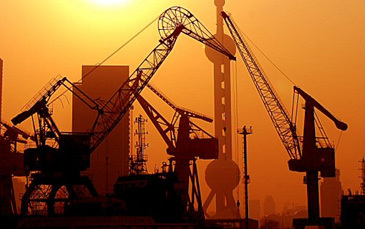 Japanese investors of that period felt that Chinese lacked sufficient buying power to make the investments worthwhile. In 1993-95, as Chinese growth began to accelerate, the second wave arrived. Still, however, Japanese investments remained limited in scope and reach. China was treated as a factory, not a market. Goods made in China by Japanese manufacturers were largely sent to overseas markets. But by the late 1990s, seemingly all of Japan Inc rushed in - the third wave. By 2005, not only giant Japanese multinationals, but also countless small and medium-size firms had arrived. 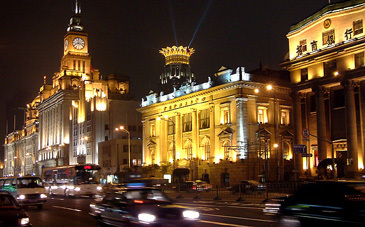 Shanghai alone has more than 40,000 Japanese residents. Japanese schools are operating in major cities such as Xian, Dalian, Beijing, Shenzhen and Shanghai. In 2004, the number of people traveling between the two nations reached 4.35 million, a new record. Basically, Japan Inc is now completely hooked on China. This should not come as a surprise - China has already become the largest consumer market in the world, besides being a top manufacturer and top trading nation. 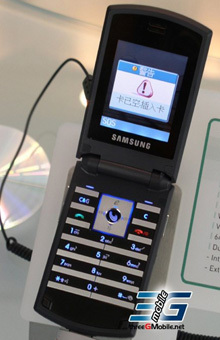 In 2004, China had 334 million handset users and sold 15 million personal computers, giving it the first and second biggest global market for these goods. Countless Japanese firms are now established in China, including Mitsui, with more than 110 joint ventures; Matsushita, which runs more than 49 factories and is adding more; and Canon, Hitachi and Sharp, which intend to make China their biggest market and site of their biggest factory. Japanese auto giants Honda and Toyota are already top players. Clearly, the fortunes of Japan Inc are already seriously tied to China. Furthermore, many Japanese companies are setting up research and development (R&D) labs in China, and lining up Chinese research institutes and universities to support future R&D efforts. 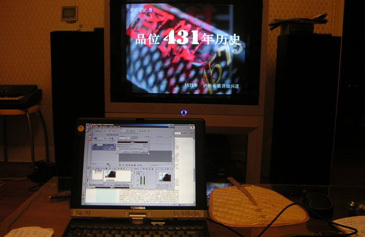 Outsourcing is another major activity; Sony alone has more than 3,000 China-based suppliers, and Japanese firms are increasingly turning to China, rather than India, for their software outsourcing. Japan Inc is active in all economic sectors, not just manufacturing. Retail giants like Justco, Ito-Yokado and 7-Eleven (which has been Japanese-owned since its Japanese subsidiary purchased it from the Southland Corporation in 1991) are all established in China. Increasing Chinese consumption has become a goldmine for these retailers, who are competing with Wal-Mart, Tesco, Carrefour and everyone else to set up more stores. The rising real estate price in China has brought over countless Japanese land developers, who have been busy to build countless hotels, office towers and shopping centers in places like Xian, Nanjing, Tianjin and Suzhou. Japanese banking and financial service giants are increasingly active in China as well. In particular, venture capital companies are coming in crowds. Top venture capitalist firm Softbank is already a major investor in numerous Chinese Internet and information-technology companies. 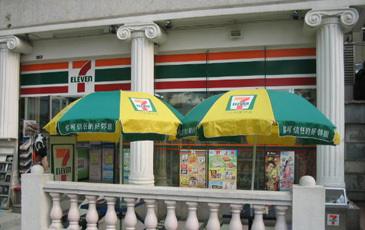 7-Eleven is everywhere in China. Chinese exports to Japan have been increasing fast. By 2004, China had replaced the US as the top exporter to Japan. Chinese products in Japan are mostly consumer products, and their penetration has been greatly aided by Japan Inc's operations in China. Relying on low costs in China, Japan Inc has adopted a strategy of manufacturing its vast range of products in China, then selling them in Japan and elsewhere, including China itself. The cost advantages are tremendous, since the average Chinese manufacturing job pays only around $115 a month, but the labor pool is vast. Besides trade activities, China Inc has become increasingly active in Japan lately. Some Chinese companies are interested in acquiring Japanese assets as a way to obtain better technology, a distribution network, or both. Several high-profile cases come to mind. First, Shanghai Electric Group acquired a bankrupt Japanese manufacturer of high-tech printers, Akiyama. Another purchase came from Guangdong-based Midea, a major home-appliances manufacturer, which acquired the entire microwave oven division from Sanyo Electric Co. Also, the Chinese company 999, a Shenzhen-based pharmaceutical and consumer-chemicals business, has an active joint venture with a Japanese pharmaceutical concern, with the aim of cross-selling each other's products. Chinese purchases like this have shocked Japan Inc. In the case of Shanghai Electric Group's purchase of Akiyama, made basically for its printer factory, the Chinese factory had been in distress itself; before the acquisition, the Chinese firm's technology was three decades behind. By buying the Japanese asset, the resulting company benefited tremendously, and it now offers popular printers for the Chinese market and beyond. Such acquisitions have become one popular way for Chinese firms to upgrade their technology and gain a new market at the same time. This has naturally concerned Japan Inc, which has always been more concerned with building business empires headed by Japanese than with actually making money. 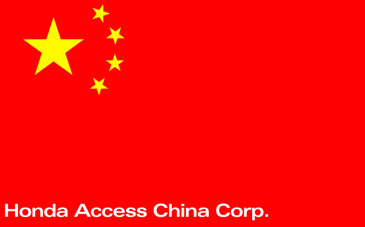 But China Inc may not need to buy Japanese assets to advance its interests. Chinese firms can simply hire Japanese talent to work for them, for example. This is what Skyworth, a leading Chinese consumer electronics company, did when it recently hired a veteran Matsushita engineer together with many of his research colleagues. The Japanese engineer has become a senior executive at Skyworth. Due to such activities, and for other reasons as well, the technological gap between Japan and China is narrowing fast - faster than expected. The eroding of technological advantage has increasingly become a concern for Japan Inc. 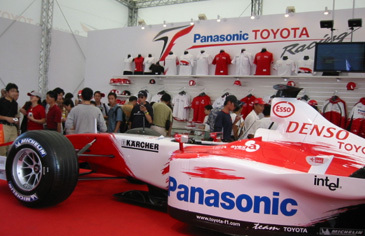 In addition, many leading Chinese companies are actively expanding into Japan. So far, these efforts have met with limited success. Partly this is because Japan's domestic market has always been notoriously closed to foreign companies; surprisingly, in many ways, Japan is not as open as China. Typically, a more effective way to penetrate the Japanese market is via joint ventures with Japan Inc. So far, most of these joint ventures have aimed for the China market. 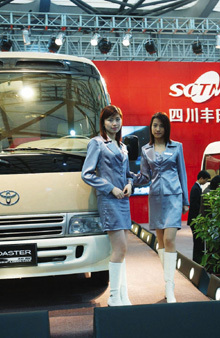 But this is gradually changing, as more Chinese companies attempt to invest in Japan as well. In recent months, leading Chinese brands such as ZTE, TCL and Haier have all increased their efforts to tap into the Japanese market. In particular, Huawei, a top Chinese telecom equipment manufacturer, has established joint ventures with NEC and Matsushita dealing with third-generation (3G) mobile phone technology. As the world's second-largest economy, Japan has both advantages and challenges. The biggest advantage is that Japan has hundreds of truly global companies that are well equipped to operate anywhere it is beneficial for them to do so. Its biggest challenge is at home, Japan has had a 14-year economic slump. Deep-seated problems include high costs, low efficiency in many industries, rampant overstaffing and a banking sector that is still recovering from massive bad loans made during the "bubble economy" period on one hand and running into more bad debts on the other hand, among other things. These problems run very deep and are not likely to go away anytime soon. This tightly closed Japanese market has backfired. Domestic stagnation virtually compels Japanese businesses to expand overseas - and China has been their overwhelming first choice. At a deeper level, Japan Inc confronts with this reality: it needs to generate fat profits from overseas in order to sustain its declining operations, very often money-losing, at home. This compels Japan Inc to do even more overseas and in a hurry. Unfortunately for the increasingly globalized Japan Inc, the Japanese political establishment has been behaving in a way that is contrary to its interests. The political leadership is keen to re-establish Japanese assertiveness, politically and militarily. This unresolved conflict has been causing wide debate within Japan. The recent protests in China and Korea against new Japanese textbooks that minimize war crimes committed by the former imperial Japanese government; Japan's alleged interference in the Taiwan issue; and conflict over certain islands claimed by both China and Japan, among other issues, has heightened this conflict of interest between Japan Inc and the Japanese government. At the same time, Japan Inc's competitive edge is no longer as sharp as it was back in the 1980s. For example, both the European Union and the US surpassed Japan in total trade with China in 2004. Also, "South Korea Inc" is investing more in China. In the late, Korean investment has surpassed the Japanese already. Leading South Korean names like LG, Samsung and Hyundai have made huge progress in China, although they were late entrants into the Chinese market. LG did $10 billion in business in China in 2004, a level even the biggest Japanese brands have hardly reached. So, Japan Inc feels great pressure to do more in China, and do it bigger and better, for fear of losing out to Japan's global competitors. For now, China is less dependent on Japanese investment than it had been. This is due partly to the fact that international investment in China has been so massive. By 2004, more than $560 billion worth of foreign investment had entered China, of which Japan accounted for only $66.6 billion, a small fraction. Although Japanese investment is still significant, its relative level of significance is decreasing. Also, domestic Chinese companies have developed significantly, and tens of thousands of them have gained the ability to produce all sorts of products. As a matter of fact, China has already become the top manufacturer for over 100 manufactured goods. Furthermore, Japan has a high-cost structure, and Chinese buyers generally prefer low-cost, but highly competitive, products and services. For example, Indian software companies are far better equipped to sell in China than Japanese companies. Overall, even without the ongoing row, Japan Inc faces an increasingly uphill battle in China. Its entire business line faces tough competition from both China itself and international firms. Japanese products no longer have any unique advantages, as they did in the 1980s. 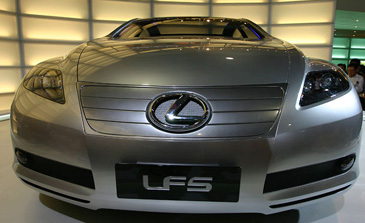 For example, in the auto industry, Honda and Toyota face competitors like GM, Volkswagen and Hyundai, among others. And in home appliances and consumer electronics, which have been traditional strengths for Japanese firms, the domestic brands are improving fast, and there is intense competition from other international brands. One can predict that the opposing interests of Japan Inc and the Japanese government will impact Japanese foreign policy more in the future. Traditionally, there are close ties between Japan Inc and the Japanese government, and it is difficult for the Japanese government to act in a way that is contrary to the interests of the business community. Japanese foreign policy is in fact more influenced by domestic politics than is widely believed. For the benefit of Japan as a whole, the Japanese government has every reason to try to make Japan part of the solution for regional conflicts, rather than part of the problem. Japan's neighbors are watching eagerly for signs of this.